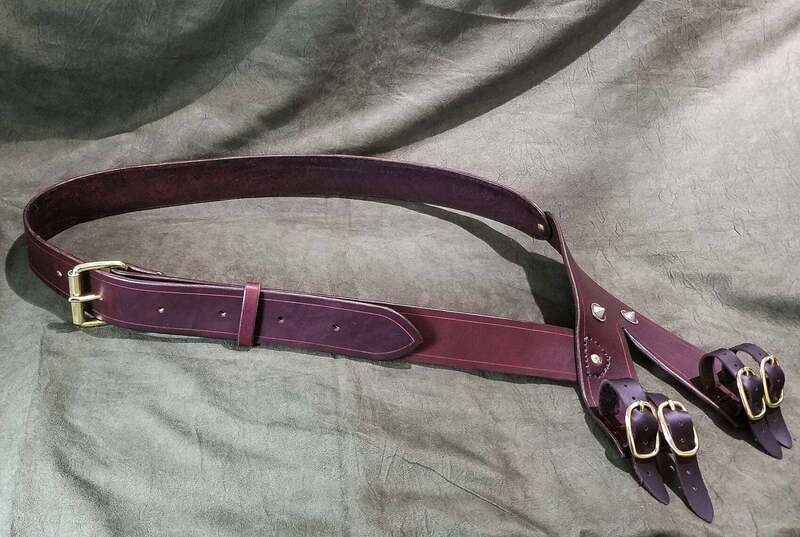 This listing is for a handmade leather baldric. 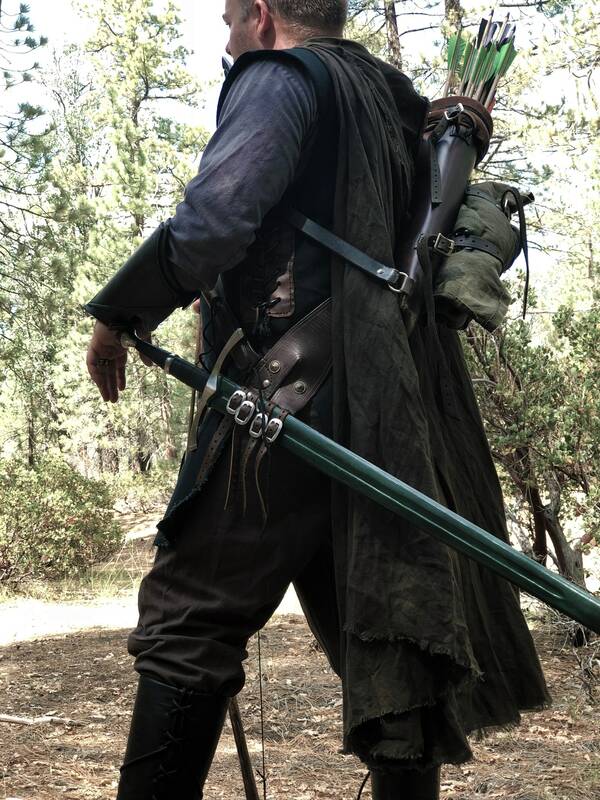 The baldric has buckled straps on the frog, which allows you to carry a variety of swords. I've included a few different options for add-ons. 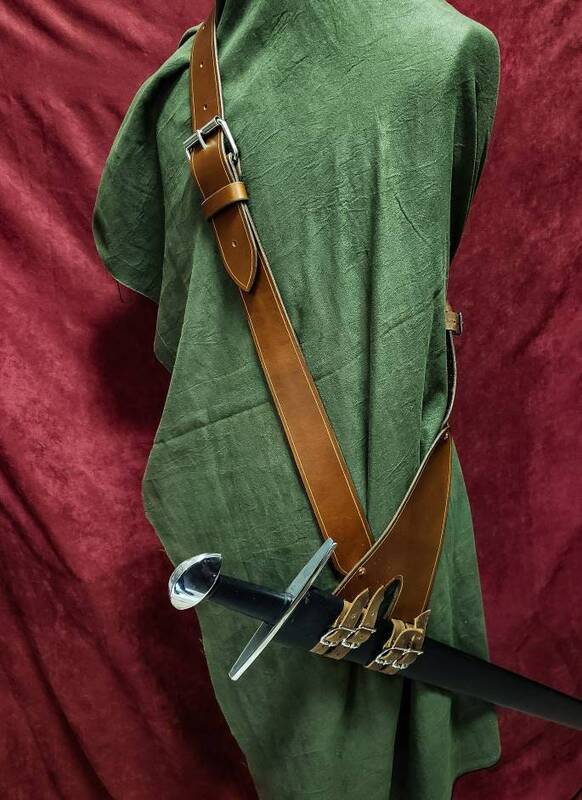 First, I can add an integrated sheath on the lower strap of the baldric that will accommodate a knife with up to a 5" blade. 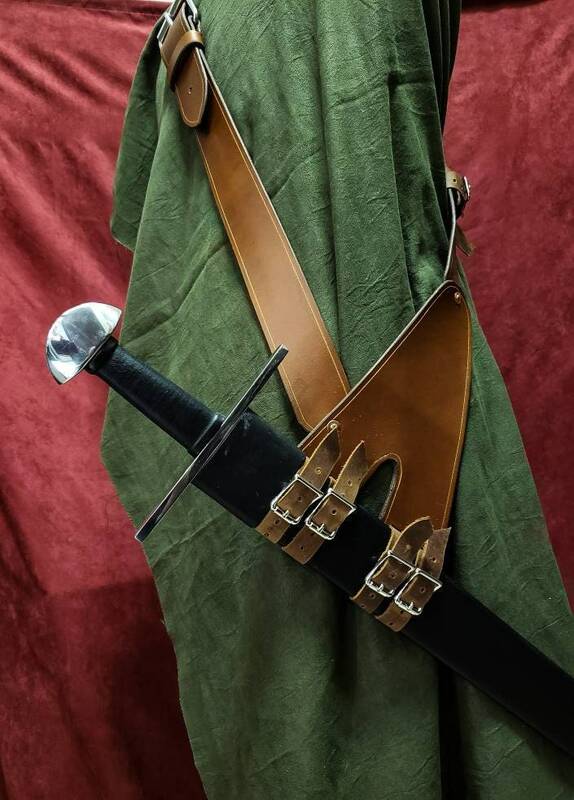 Also, I can add two buckled straps on the back of the baldric which can be used to carry a bedroll, backup weapon, or whatever you wish. 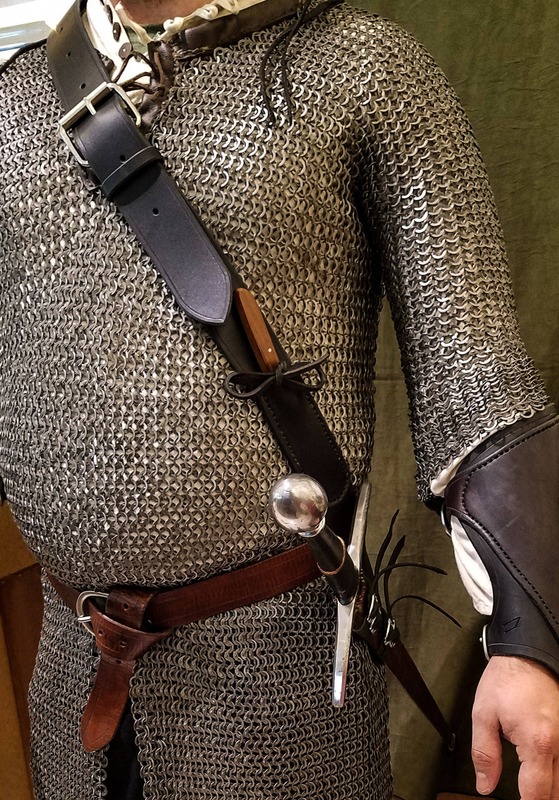 You have the option to include either or both add-ons, or to order the plain version of the baldric, which only has the buckles straps for carrying a sword. 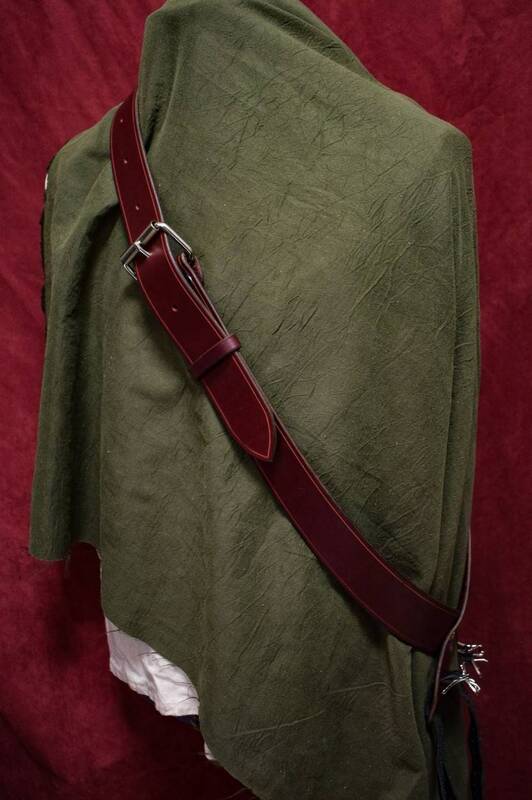 The baldric is made of 8-10 ounce latigo cowhide. It is 2" wide, and features a roller buckle that can be removed to be replaced with your own buckle if you wish. Steel is the standard for the buckles, if you would like brass at no extra charge, let me know when ordering. 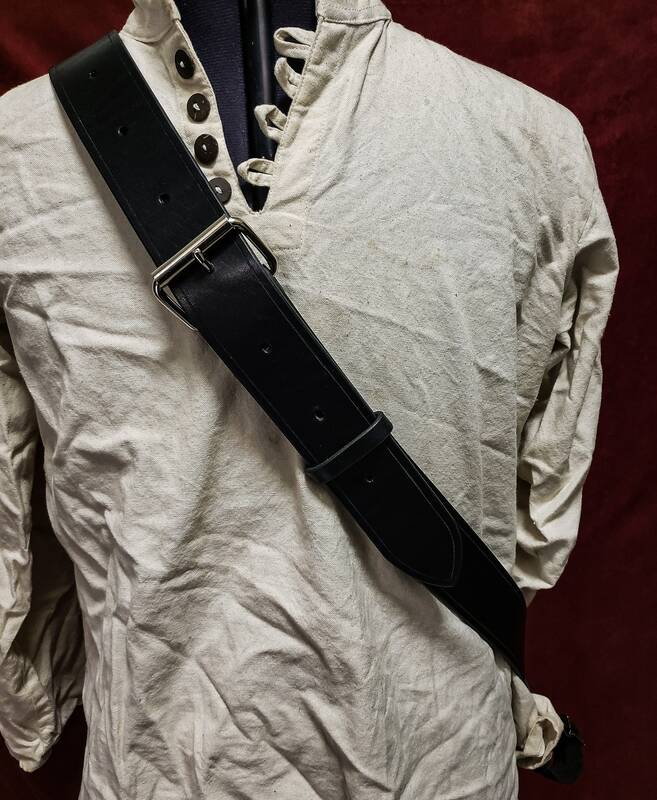 Each baldric will comfortably fit someone 5'5"- 6'2" If you need one custom made to accommodate your height, feel free to contact me. Naturally, the sword and knife in the photos are not included. As always, if you have any different add-ons that you would like, or any other ideas for customization, feel free to message me. 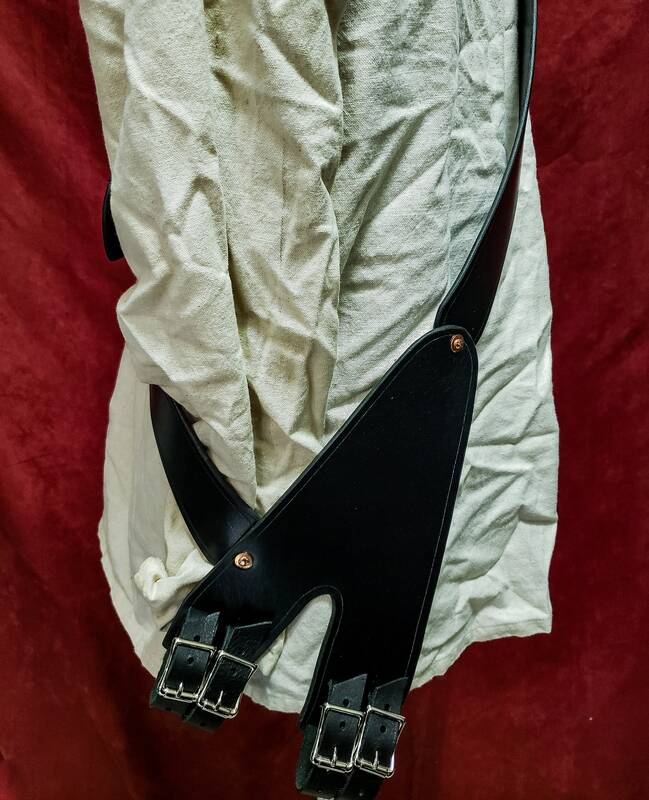 Built to spec, holds my basket hilt well and is comfortable to wear. 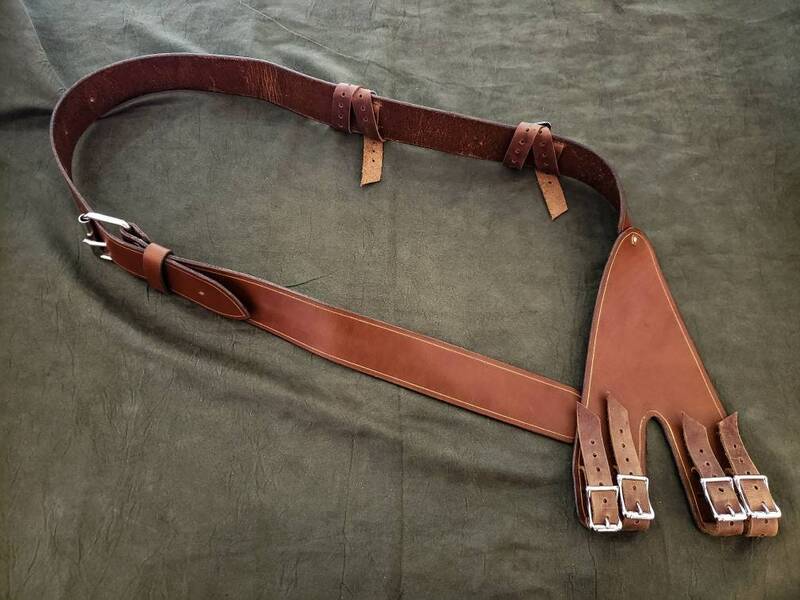 I added the straps and knife holder when I ordered and everything came out well. Wore it last night when I took my Knight (son) out for Halloween. Great piece. Fit is comfortable and functional. Service was excellent and shipping was prompt! Excellent quality, and very fast turnaround!! Works very well.